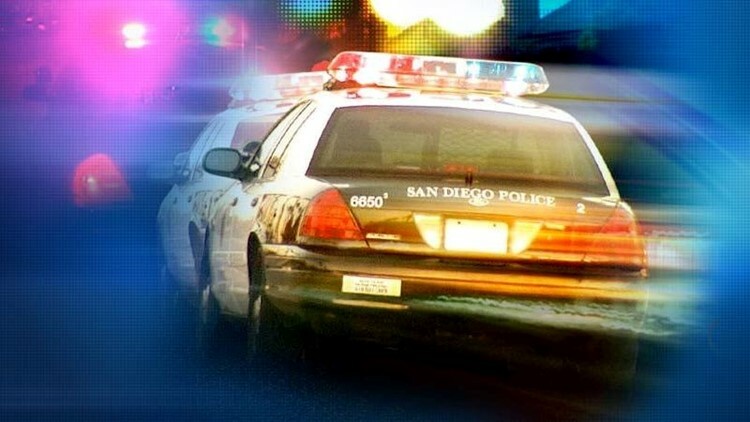 A man who is believed to have robbed a gas station in Vista early Saturday, led law enforcement on a pursuit through multiple cities before ending up in Riverside County, deputies said. VISTA (CNS) - A man who is believed to have robbed a gas station in Vista early Saturday, led law enforcement on a pursuit through multiple cities before ending up in Riverside County, deputies said. According to San Diego County Sheriff's Sgt. Dan Harrison, at about 5:25 a.m., Robinson walked into a Shell gas station at 400 Sycamore Ave. in Vista and told the clerk to put money on the gas pump where his car was parked. When the clerk told the man he had to pay for the fuel, Robinson stuck his hand in his pocket "as if he had a gun" and told the clerk, "you should put the fuel on the pump," Harrison said. The clerk complied, and Robinson allegedly took a drink from the station's refrigerator before pumping his gas and driving away. The clerk called to report the robbery after the suspect left. A short time later, a sheriff's deputy in San Marcos noticed a car matching the suspect vehicle's description and tried to pull it over. A chase ensued, lasting for nearly an hour and stretching through San Marcos, Vista, Escondido and into Temecula, Harrison said.